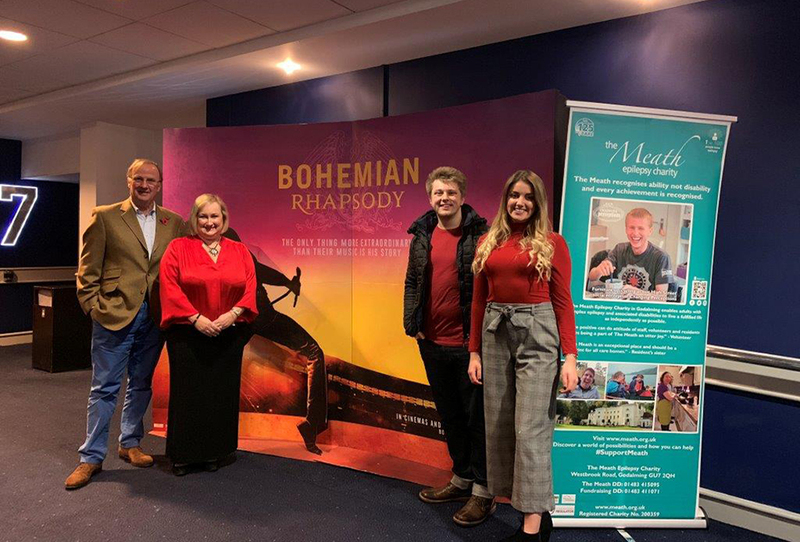 Last night Meath supporters enjoyed a footstompingly fun private charity screening of ‘Bohemian Rhapsody’ at Odeon Cinema, Guildford. While the audience waited in anticipation of the critically acclaimed feature film they were reminded of the inspirational on-going work of the Meath Epilepsy Charity with a screening of the Meath’s new 4 minute film which was produced by Eagle Radio. The evening raised £3,435 thanks to the kind support of the 140 Meath and Queen fans! Huge thanks to Meath Trustee Tony Robin for organising this event. We’re so happy that so many people had a great night out while supporting the Meath….DON’T STOP MEeath now,’cos we’re having a good time!